3 Quick Steps for Negotiating Mortgage Forbearance- Find Out Now! 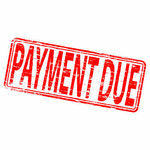 Money trouble can occur at any time and can make the repayment of a mortgage loan very difficult. Especially during and after an economic recession, the chances of losing your home are much greater. One way in which a borrower can save himself from losing his home is by making an agreement with his lender, in which the lender agrees to not foreclose on the borrower’s mortgage, if the borrower agrees to start making payments that will bring him up to date on his mortgage repayment. This agreement is called mortgage forbearance and it’s designed to help borrowers who are going through tough financial times. Borrowers can stop making mortgage payments or even postpone them for a period of time, after which they can catch up and resume making regular monthly payments. Mortgage forbearance also allows the borrower to negotiate some of the default amount with their lender. Is Mortgage Forbearance the Right Option for You? Mortgage forbearance is a good option for those who experience temporary financial hardships, such as changes in employment, an expensive divorce, a death in the borrower’s family, having to temporarily pay two mortgages due to a job relocation, military service, or being jailed. If you consider that your financial troubles are only temporary and you will be able to recover shortly, then mortgage forbearance is worth taking into account. If your financial hardship is of a more permanent nature, your lender may still agree to a mortgage forbearance if they consider that you have enough equity in your home and will be able to refinance with another lending institution. Either way, you will need to go through the necessary steps in order to obtain a mortgage forbearance agreement. Analyze your financial situation and call your lender. Carefully analyze not only the unexpected decrease in income or increased expenses, but also every source of monthly income and all expenses. Your lender will want to know all these aspects of your financial situation in detail, so researching them thoroughly will help you and your lender both better determine if your financial crisis is temporary or permanent, and how long will it take you to recover. Your income sources may include salaries, child support, financial aid, pension or veteran’s benefits, home rental income and others. Expenses may include loan and rental payments, food, utilities and many others. Having every source of income and expense laid out in front of you can also help you determine where improvements can be made in order to get out of this situation quicker. Write a hardship letter. After writing down all your sources of income and expenses, and determining that even after making changes, your expenses are still greater than your income, it is time to document your financial situation to your lending institution through a hardship letter. Lenders have great resources for finding out information about your income and expenses, so it’s recommended to be completely honest and provide all of the necessary information in your hardship letter. Sign the mortgage forbearance agreement. After receiving your hardship letter, if your lender approves your request for mortgage forbearance, the last step is for you to read the agreement and sign it. The lender agrees to not file for foreclosure for the duration of the agreement, and you agree to catch up on your mortgage payments. Mortgage forbearance will not waive the interest that you must pay, or the late fees. Mortgage forbearance is a great way of getting back on track with your mortgage repayment and avoid losing your home to foreclosure. But before committing yourself to this agreement, make sure that you fully understand what it involves, and that you will be able to recover from your financial hardship in a short time. Also, make sure that the mortgage forbearance is the right choice for your financial needs and not just a tool that will help postpone the inevitable mortgage default.